If you’re looking to upgrade your bathroom to something that truly has a “wow” factor, then consider a glass shower from Kennesaw Glass & Mirror. 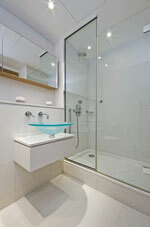 We custom create our glass showers based on precise measurements and our clients’ aesthetic preferences. Whether you are looking for a traditional framed glass shower, a modern and sleek frameless glass shower, or sliding glass shower doors, we’ve got you covered. Our skilled glaziers are knowledgeable on the latest styles and methods, and can create a gorgeous shower that will last for many years to come. Kennesaw Glass & Mirror doesn’t just provide beautiful glass showers, we also provide impeccable customer service. We don’t outsource our work, but instead our glaziers perform all work in-house at our shop near Brookhaven. This allows us to provide extremely fast turnaround times. However, the speed of service will never be a sacrifice for quality, as our glaziers are also skilled craftsmen who will work tirelessly to ensure your pieces look amazing. What’s more, our installers are extremely proficient and will make sure your shower is installed in a way that minimizes the risk of air and water infiltration or breakage. 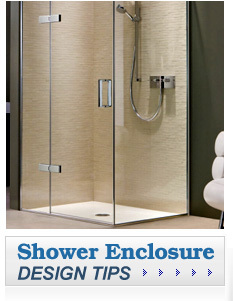 For more information on our glass showers, or any of our glass products, contact Kennesaw Glass & Mirror today. We serve homes and businesses throughout the Brookhaven, GA, area.